being little • bristol uk fashion & lifestyle blog. 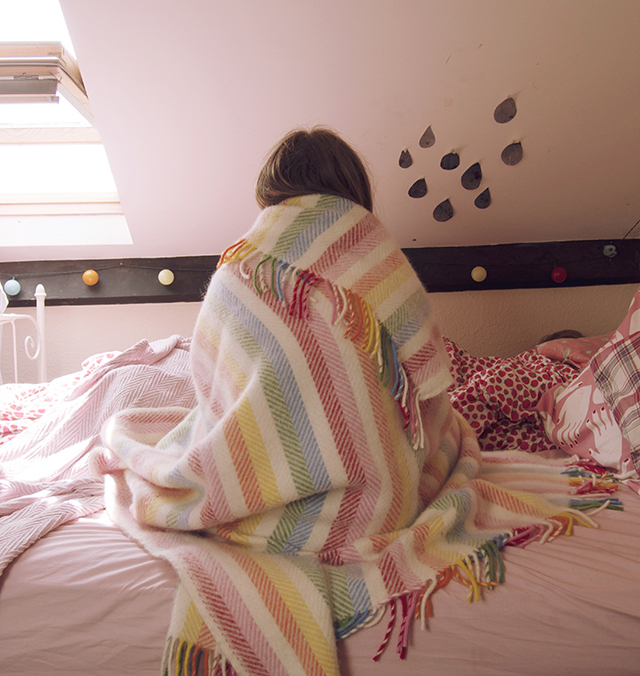 : an ode to blankets. I know I'm not alone in my love for blankets. It's a quest for ultimate comfort. Not just physical comfort, but that cosy and safe feeling you get inside when you're wrapped up in a thick wool blanket. It's a shield from the cold, as well as the scary outside world. 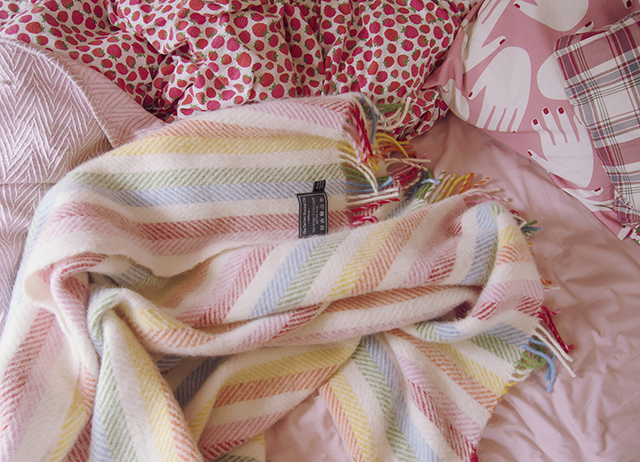 Blankets make your bed more interesting - adding more colour or texture. They are an extra heavy layer when it's -5ºC and your loft room isn't very well insulated. They are the perfect thing to grab in the middle of the night if you need to pop downstairs. 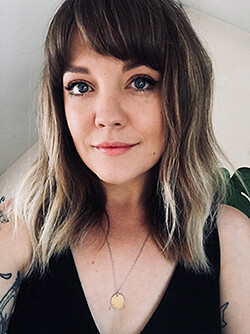 A thin cotton blanket is amazing this time of year too - when it's too hot to sleep under a duvet, but you feel exposed without any sort of cover. Obviously, a blanket is the perfect accompaniment to a picnic, or to the beach. If your outdoor pursuits continue into the evening, you can wrap up your bare legs. Once, I lay on a blanket atop a hill, watching a meteor shower with good friends, tea & muffins. A blanket is something soft and warm to touch when everything else feels so hard and cold. Those pictures are so cute! 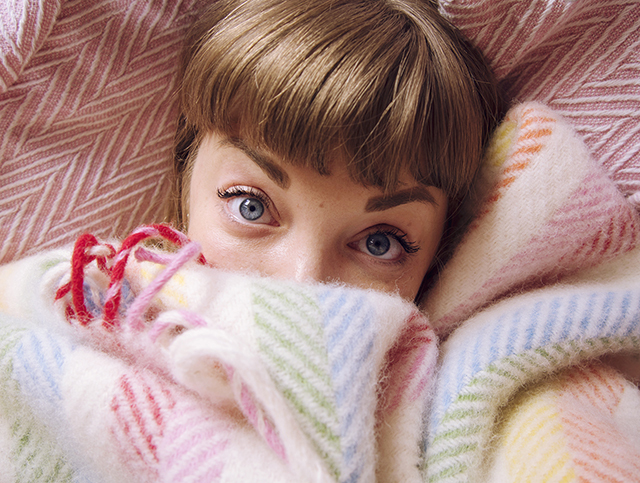 Definitely envious of your blanket collection (although duvets will always be my bae). 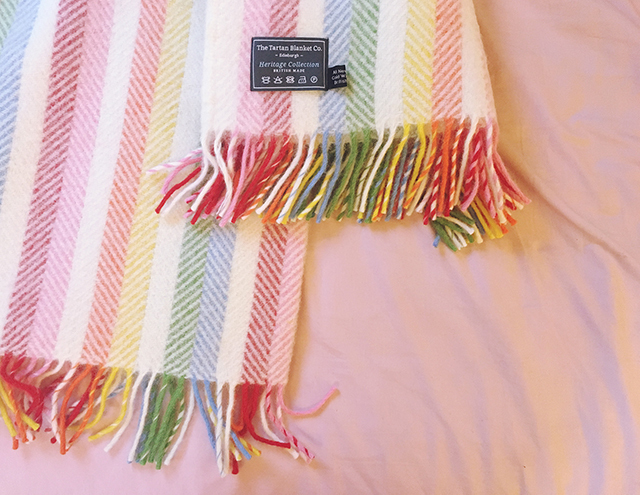 This was such a wonderful post aw - blankets are the true shield from the outside world! Oh my gosh! 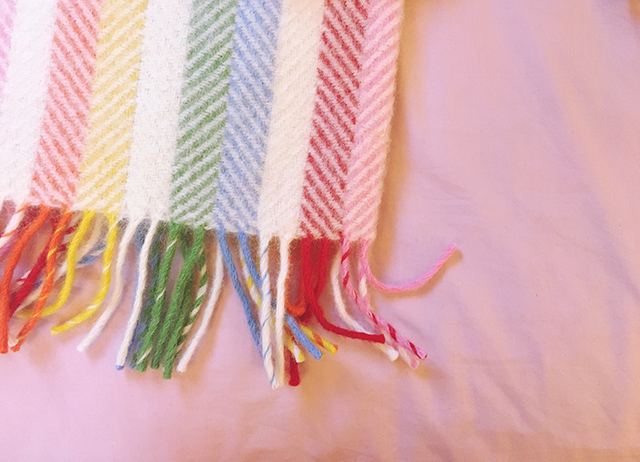 I love those blankets! I had no idea Tiger sold blankets too! I'm definitely going to have to check them out! And that multicoloured one?! I need that!